Man Cave Craft Meats started in the Minneapolis Farmers Market peddling a few styles of brats and burgers. Inspired by craft beer, they became the pioneers for the craft meat movement. They tested hundreds of recipes to find the perfect combination of unique flavors in the products you can find in our stores today. More of a Double IPA than light brown water, Man Cave Craft Meats has become the “craft beer of the meat department.” A heavy emphasis is placed upon constant improvement and quality. Every recipe is repeatedly taste tested and consumed by every single employee from the CEO to the temporary interns. After production, each batch is checked in depth for quality and awesomeness. Two summers ago a local Minneapolis grocery chain inquired about availability in retail stores. This retailer had heard about this craft meat booth that had become a staple of the market and decided to bring Man Cave Craft Meats into their stores. Today Man Cave has entered almost 3,000 stores nationwide including Mollie Stone’s Markets! 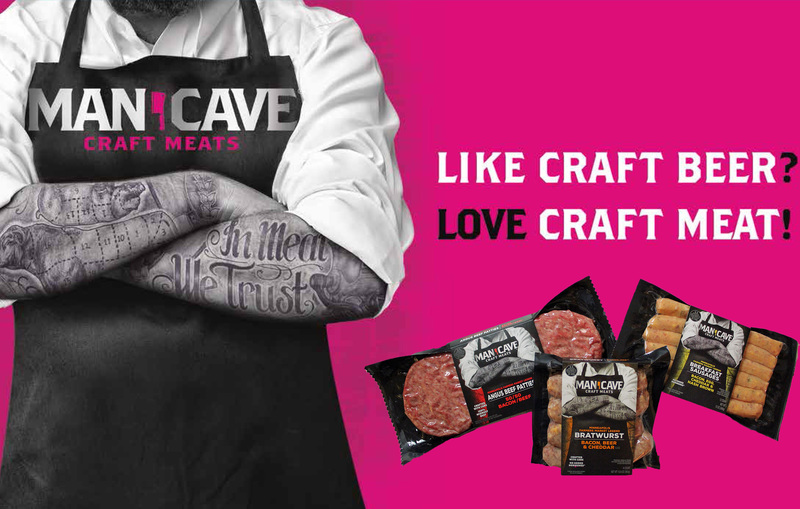 Find Man Cave Craft Meats at your local Mollie Stone’s today!